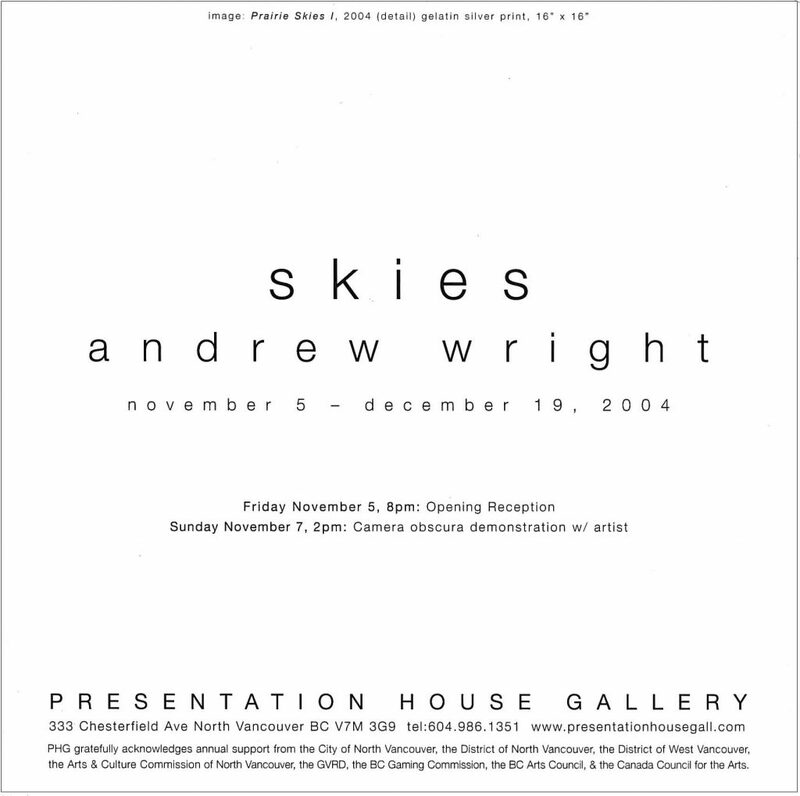 Andrew Wright has worked with archaic photographic devices for many years. The photographs in this exhibition are part of an ongoing series that takes the camera obscura as a point of departure. Using a hole in the roof of his studio fitted with a make-shift lens and shutter, he produces large unique images of the sky, printed in reverse. The artist refers to these images as “counter photographic”. They are arbitrary encounters with light and space that do away with the “decisive moment”. As an inquiry into natural phenomena these photographs document the ephemerality of nature, and the fluidity of water vapour, perception and light itself. 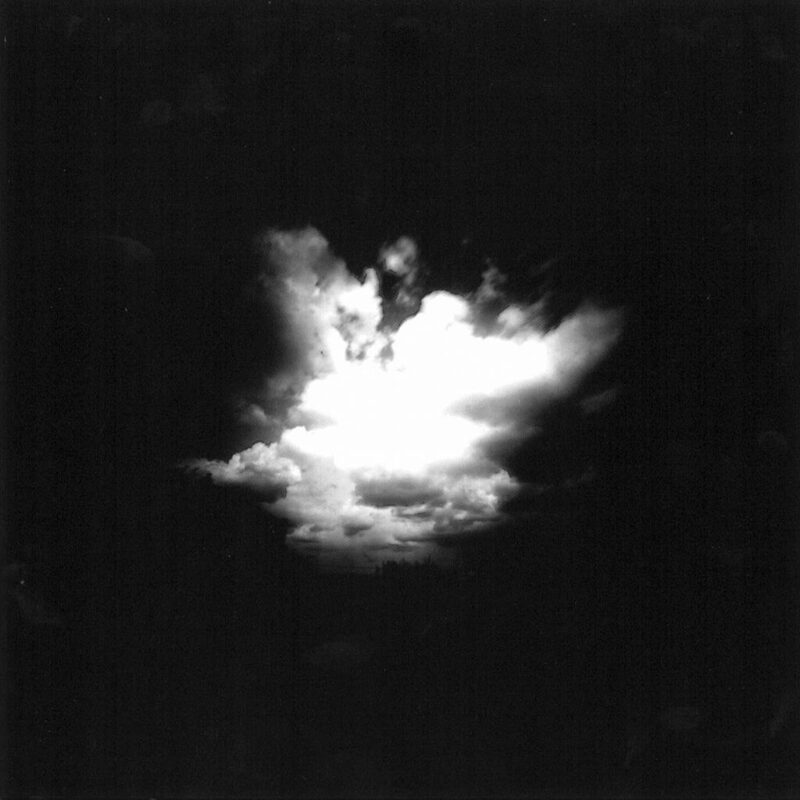 Also included in the exhibition are sky studies produced by a pinhole camera. Andrew Wright lives and works in Waterloo, Ontario and teaches photography at the University of Toronto and Sheridan College. He has produced sculpture, film, installation, outdoor works and prints. He has exhibited widely since graduating with an MFA from the University of Windsor in 1997, including shows at the Oakville Galleries, Roam Contemporary (New York), Braziers Workshop (U.K.), and the University of California, Berkeley. His feature-length film installation Blind Man's Bluff is currently on tour and opens at the Art Gallery of Calgary on November 29, 2004. This marks his first exhibition in Vancouver. He is represented by Peak Gallery in Toronto.